There’s something quite magical about a garden full of spring bulbs. After the pure white Snowdrops come the beautiful crocus flowers. At first glance it looks like a sea of blue and white. Closer inspection reveals bright orange stamens. 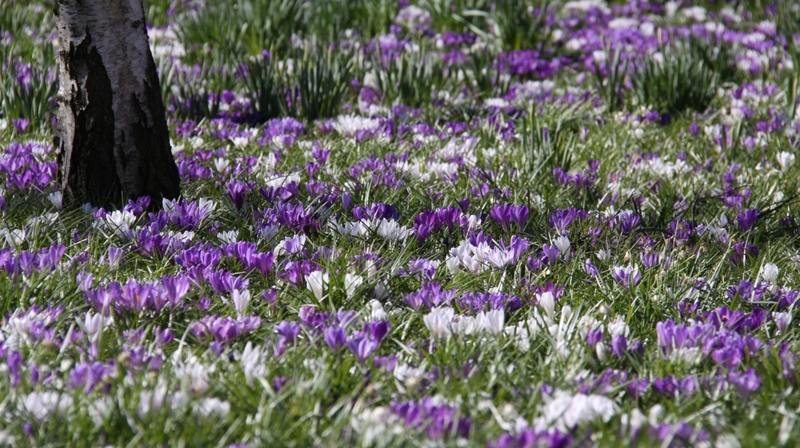 How do you develop a carpet of crocus in your garden? It’s easy. There’s no need to go mad and plant hundreds. Just plant a few corms in autumn and they will self sow each year. Choose a well drained spot in full sun and they will be happy. If you are kicking yourself right now for missing the planting season… don’t worry. Crocus in flower are available now in small pots from all good garden centres, nurseries and even DIY stores for just a few pounds. 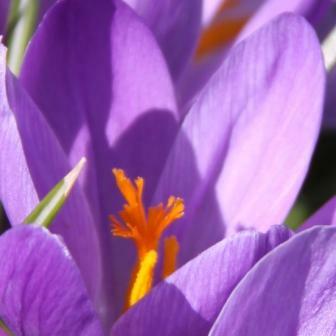 Crocus associate well with other early spring flowering bulbs such as Snowdrops and Daffodils. They are easy to naturalise in lawns or in a sunny spot in a woodland garden and grow well with primroses. They are perfect for growing underneath deciduous shrubs in a mixed border too. If you simply don’t have space for any more bulbs in your garden then you could do what I’m doing this year and grow them in shallow bulb bowls.